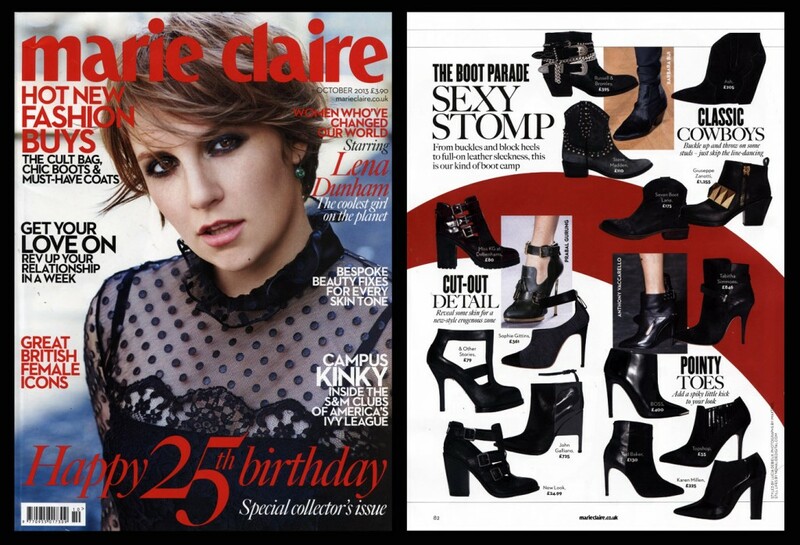 British Marie Claire features Maud ankle strap boot in smoke grey wool in their October issue. Online and in store now. Diana Vickers wears Orient in red suede in the August issue of Drafted magazine. Available via www.giordanodieci.com. Swiss style blogger Tiphaine showcases her VIOLA sandals in pearl white glitter.